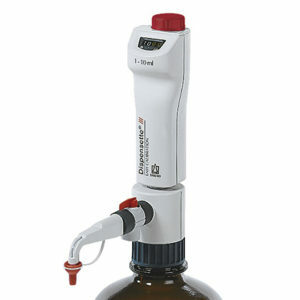 Product and ordering information for the piccolo compact wiping seal Bottletop dispenser for dispensing small quantities of liquids in biochemical and medical research. The piccolo™ is a compact wiping seal dispenser for dispensing small quantities of liquids. 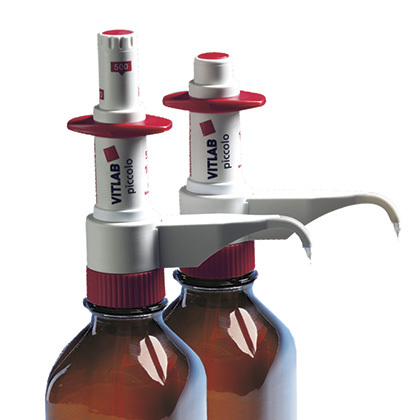 Made from high quality materials, its small size and semi-automatic operation make it a natural for standardized procedures and kits where small volumes of reagents need to be dispensed. The spring loaded piston design enables one-handed operation, and the discharge tube can be rotated over 360° so that it is always optimally situated with respect to the bottle label. The piccolo™ bottletop dispenser is supplied with: GL 28 thread, valve mounting tool, 150mm filling tube, and operating manual. Other volumes are available upon request. 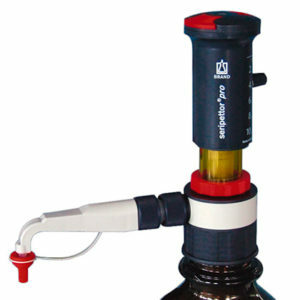 Bottletop Adapter - Thread adapter, PP , to fit reagent bottles with GL32 bottle neck threads.